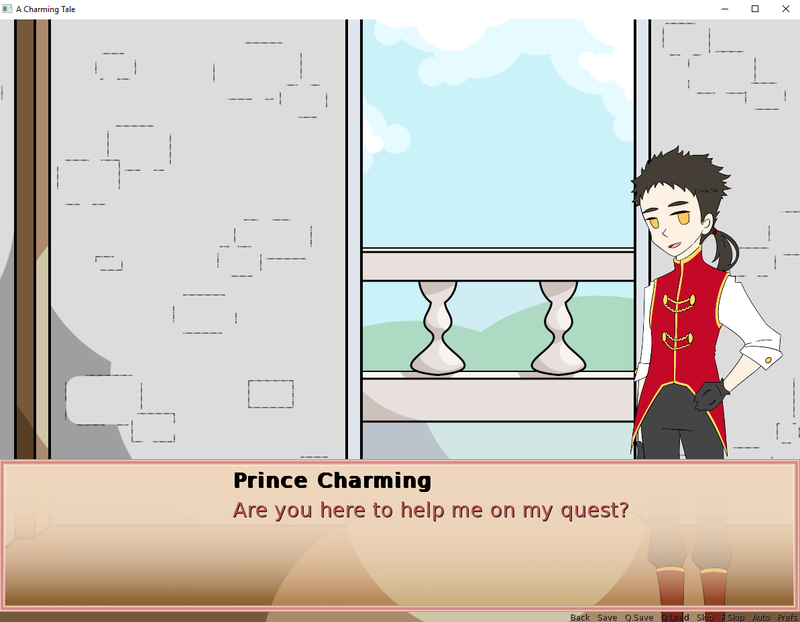 Come join Prince Charming as he goes on a quest to travel across the land, save damsels in distress, defeat evil villains, and of course find true love. Or not... up to you. This game was created for Strawberry Jam 2, with the idea of creating a game that teaches us to be wary of the consequences of the choices we make. It may be poorly executed... but I tried. At this point it is 95% complete, with only the different faces and poses for two characters needing to be made. However, due to scheduling constraints I'll be releasing this game early and unfinished. If you come across any bugs or errors or would like to see this game further developed please let me know. Thank you for checking out my game. This is a cute game, but it's too bad it's so short. You may need to add CG and additional characters to make the story last longer. I like the concept of prince charming going around sexing other fairy tale characters. Hopefully somewhere down the line I may try to remake it with new art and characters to enhance the story. I'm glad I did this game for the game jam though because I learnt lots of coding tricks.